NEWARK: To prosecutors, Bernard Greenspan saw dollar signs when a blood-testing lab company came to his office seeking referrals several years ago, and he reaped a $200,000 windfall in illegal bribes. Greenspan’s attorney tells a different story, of an “old-school, solo family practitioner” still practicing while pushing 80 whose transactions were legitimate but who wound up in the wrong place at the wrong time – in the middle of an investigation into a $200 million health care fraud scheme. More than 40 people, including more than two dozen doctors in New York and New Jersey, have pleaded guilty over the last four years in the scheme. This week, the government’s evidence will be tested for the first time when the 79-year-old Greenspan, who faces maximum penalties that would mean spending the rest of his life in prison, goes on trial. There was a reason for the uptick in the company’s fortunes, the U.S. attorney’s office contended when it announced charges in April 2013: the company was bribing a network of doctors in exchange for referrals, often involving unnecessary tests. BLS president David Nicoll, who is expected to testify against Greenspan, pleaded guilty in June 2013 to conspiracy and money laundering and faces up to 25 years in prison. Authorities said he used BLS’s profits on a $300,000 Ferrari, $392,000 on tickets to sporting events and $154,000 at a gentlemen’s club and restaurant. The U.S. attorney’s office alleges one way BLS bribed Greenspan and other doctors was by paying them inflated rents for office space. In one example, BLS allegedly paid a doctor $2,200 per month for about 100 square feet of space. BLS also paid for Greenspan’s holiday office parties and gave a job to an employee with whom Greenspan was having a sexual relationship, the criminal complaint alleges. The investigation reflected federal officials’ increased focus on health care fraud over the last 10 years. 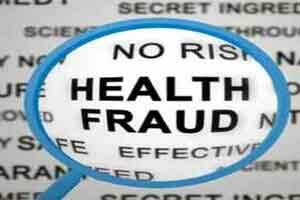 According to an annual report by the Department of Health and Human Services and the Department of Justice, in Fiscal Year 2016 the federal government won or negotiated more than $2.5 billion in health care fraud judgments and settlements. The U.S. attorney’s office declined to comment Monday on Greenspan’s trial.